This section of our technical library presents information and documentation relating to IVR Applications and custom IVR software and products. Business phone systems and toll free answering systems (generally 800 numbers and their equivalent) are very popular for service and sales organizations, allowing customers and prospects to call your organization anywhere in the country. What Is IVR?. An Interactive Voice Response (IVR) processes inbound phone calls, plays recorded messages including information extracted from databases and the internet, and potentially routes calls to either inhouse service agents or transfers the caller to an outside extension. It enhances our phone system's current robust features of predictive dialing, ACD, and digital call recording. This 800 number system acts as a toll free answering service, front ending your phone, collecting useful information from a caller before the call is transferred to an agent. And the IVR system could fulfill the caller�s request without a transfer. The Pacer IVR software solution gives your organization a 24 by 7 capability, providing around-the-clock information to your callers. 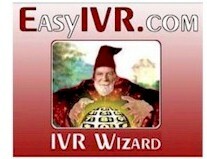 How Is your IVR perceived? The Customer Experience is It! Are Your Customers Lost in Self-Service? The Voice Web: CT's New Terminator App? Is ASR Right for You? Is the bad rap for IVRs deserved? XML Meets "IVR With An LCD"
Where Is Self-Service Going With "Voice Portals"? Updating Your System - Is VoiceXML right for your customer service strategy? What is Interactive Voice Response (IVR) and Voice Broadcasting (VB) and how can it be applied to different ivr applications? Visit our Contact Center Outsourcing web page to learn more about interactive voice response technology and services.